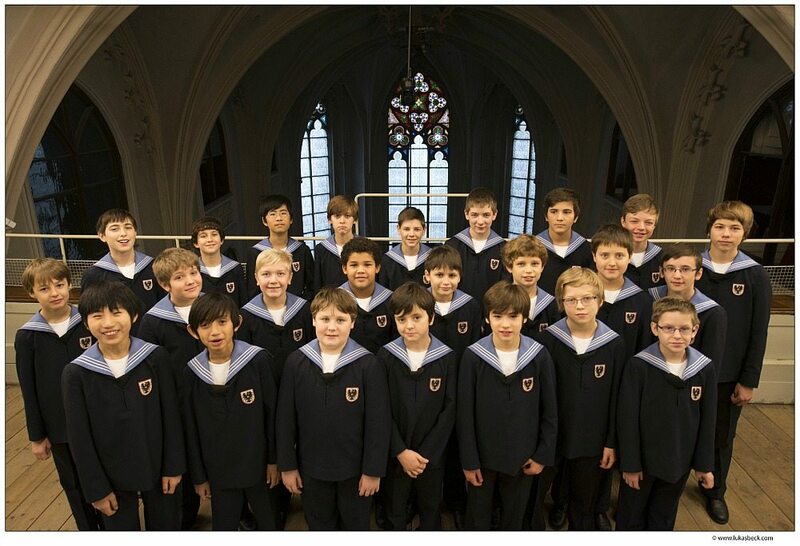 The Vienna Boys Choir is the best regular vocal experience you can get in Vienna. 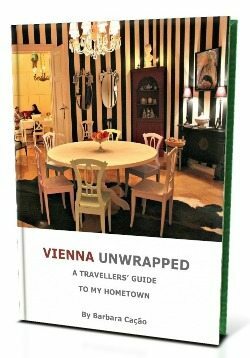 Where can you hear the most popular Vienna children’s choir for their Sunday Mass, and at Christmas? Learn about their schedule 2018 at different event locations and how get tickets. The Vienna choir boys sing almost every Sunday (except summer) at Wiener Hofburgkapelle in the Imperial Palace. Their most traditional location boasts excellent acoustics. Bookings: You can book online without having to queue. Tickets can be delivered directly to your hotel. Alternatively, tickets can be bought on-site on Fridays between 11 am and 1 pm, and between 3 pm and 5 pm, or before Sunday Mass from 8.15 am to 8.45 am. Note: As usual with masses, you will only hear the choir as they will be up on the choir balcony. After the mass, you will see the boys when they perform a few songs at the altar. 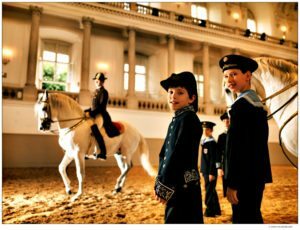 At ‘A Tribute To Vienna’ watch both the Vienna choir boys and the Spanish Riding School Vienna perform in the same programme. The choir boys will take turns with the lipizzaner stallions at the baroque winter riding hall. No overkill with a mashed up sing-and-ride show, though; Each group separately sticks to what they excel in. 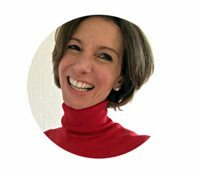 Since both institutions are not only the same age (500 years old) but among the world’s top classical performers expect the outcome to be utterly harmonic and very enjoyable. The choir boys’s angelical voices lend themselves to an amazing Christmas concert. 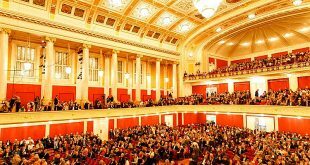 Each year, they participate in the traditional Christmas in Vienna concert at Wiener Konzerthaus. While their classical Christmas songs are supported by top opera singers note that they will also share the evening with other great artists. MuTh (stands for ‘Musik und Theater’) is the first concert hall built for the Vienna Boys Choir. The hall is located next to the choir boys’ boarding school at baroque Augarten palace, and serves as the boys’ main place to rehearse, and perform (mostly classical) concerts, and their own children’s operas. 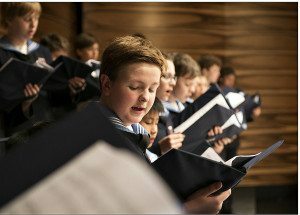 Every Friday afternoon in May, June and October you can listen to the Vienna Choir Boys perform Mozart, Schubert, Haydn and Bruckner. VIP ticket holders can meet and greet the choir boys after the concert. The Choir started more than 500 years ago, in 1498 as a group of six boys of Emperor Maximilian I’s court band. After the First World War and the abolition of the monarchy in Austria, the choir turned into a private association. 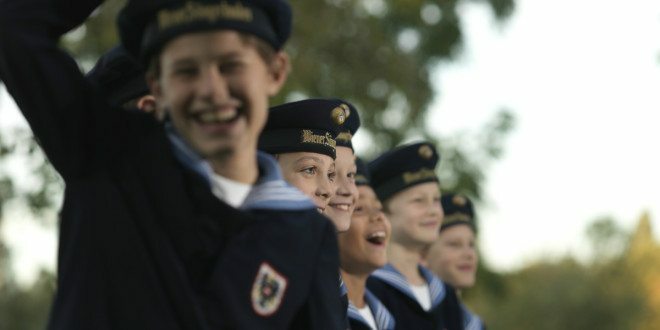 Since then, the approximately 100 boys between 10 and 14 years of age dress in sailor suits, sing in four different choir groups at various public occasions and tour the world. The Vienna Boys Choir became international superstars not least since Walt Disney’s film Almost Angels (1962). The Vienna Boys Choir’s repertoire ranges from Medieval music, to Renaissance (Gallus, Victoria, Monteverdi), to Baroque (Bach, Händel), Classical (Haydn, Mozart, Beethoven), and Romantic music (Schubert, Bruckner); it also includes polka and waltzes by the Strauss dynasty. The boys have also lent their voices to modern music (Benjamin Britten, Leonard Bernstein, Gustav Mahler), folk, pop and world music. and regularly perform in operas for children.